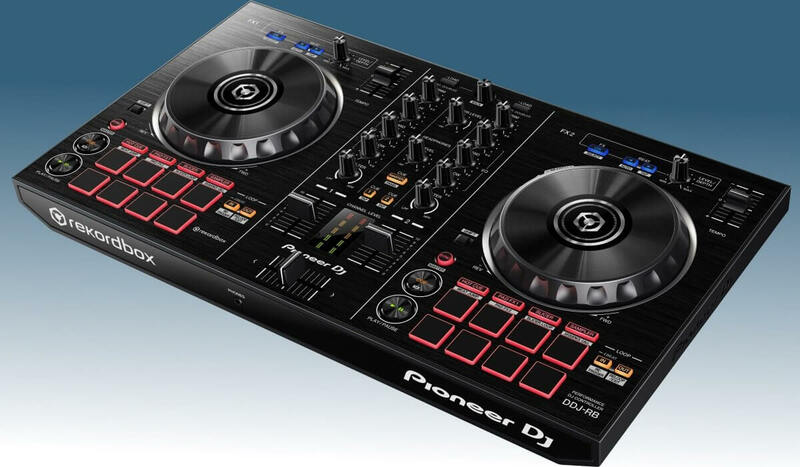 Last updated on Apr 4, 2019 @ 10:12 am: Added the Pioneer DJ DDJ-400! 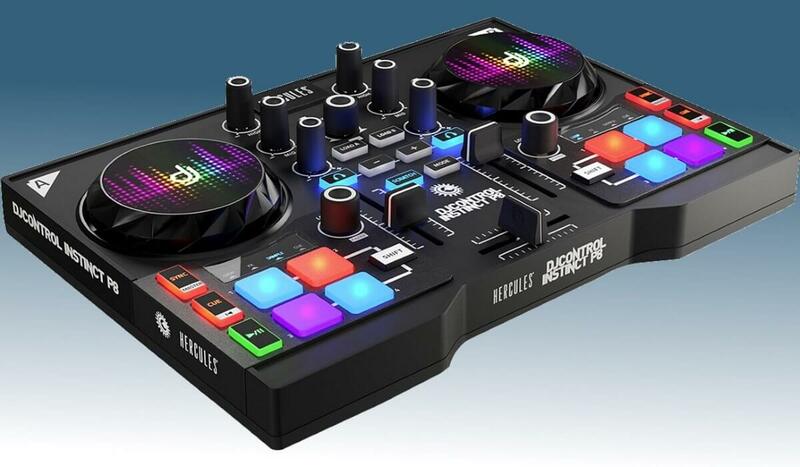 If you are a starting DJ, spending a lot of money on your first DJ controller and then realizing it’s nothing for you is probably not the best idea. It is best to start small, figure out if you like it, and then move on the bigger and better. 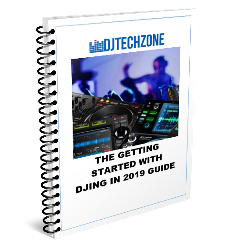 For that reason, we have put together an overview of what DJ controllers beginners should be looking at. We will focus on DJ controllers that cost up to USD 300, for this amount feels like an appropriate budget barrier for starting DJs, or for parents that don’t want to overspend on a Christmas gift that might end up being used only a few times. Lastly, if you do have a lot of money to spend on your first controller, by all means, do it, the gear manufacturers will thank you for sure. What to look out for in a beginner DJ controller? Decent jog wheels: many basic techniques in DJing require a pair of jog wheels, and if you want to become a scratch DJ someday, they are absolutely indispensable. A well-equipped mixer: the mixer needs to cover the basics: 2 channels or more, a 3 band EQ, a gain knob to control the volume of each channel individually and a decent quality set of line faders. Not to forget a crossfader. Individual VU meters per channel to ensure you stay out of the red are welcome but rather rare on beginner DJ controllers, usually, there is a master VU meter only. Soundcard: Unless you are on a really tight budget, a built-in sound card is a must. It means you can connect your controller directly to a sound system through the built-in master out, without the need of going through your computer. Headphone output with volume and cue/master control: In order to be able to cue up your next track, it’s important to be able to split the master sound going to your speakers from the sound of the incoming track. Effects & performance section: Any modern DJ software has extensive performance features built-in, and a good beginner controller has the necessary knobs and pads to control them. The controllers below don’t have necessarily all the features I list above, but I mention them anyway as the budget is an important factor for beginners. 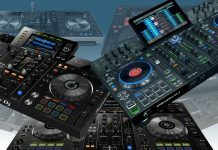 Let’s have a deeper look at a few great DJ controllers, and explore a bit more their features, positives and negative points! Roland DJ-202: Roland’s newest controller, the DJ-202 has everything to control Serato DJ, plus the added benefit of a built-in sequencer and drum machine! 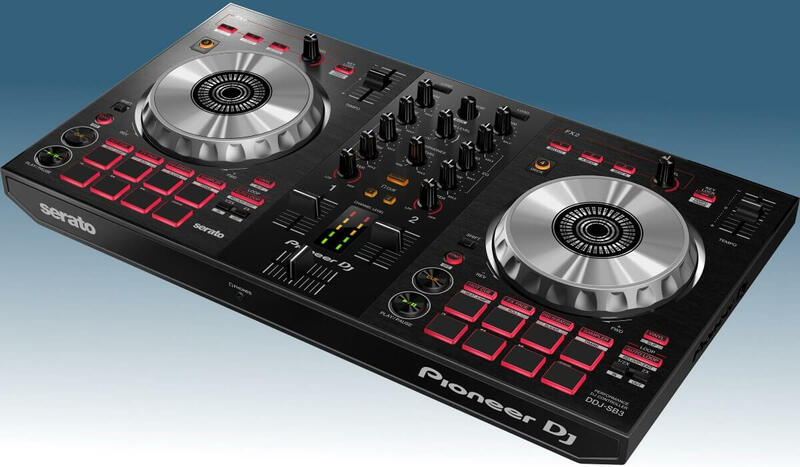 Pioneer DJ DDJ-RB: An excellent entry level controller for Rekordbox DJ. Numark Mixtrack Pro 3: The Mixtrack Pro 3 is a screenless version of the Mixtrack Platinum if you don’t want/need them. Numark Party Mix: The Party Mix is a fun basic controller with an added light show! 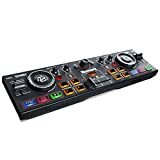 Hercules DJControl Instinct P8: Another basic DJ controller, well build and with very good performance pads. 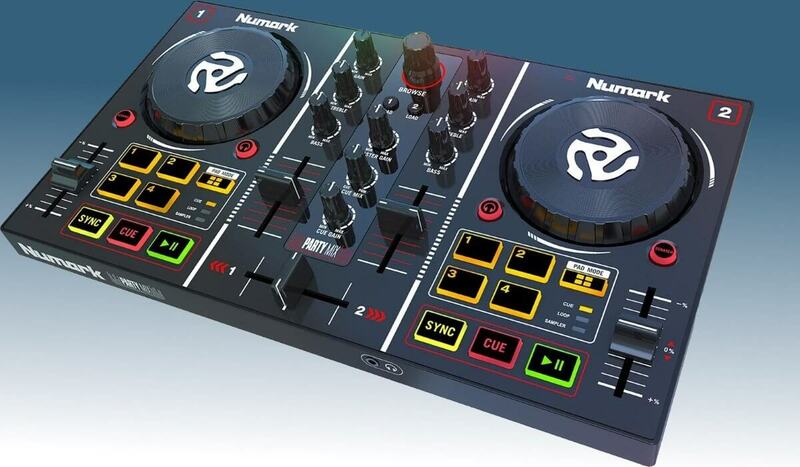 Numark Mixtrack 3: If you are on a very low budget and can live without a built-in soundcard. Pioneer DJ DDJ-SB2: An excellent entry level controller for Serato, but that supports Rekordbox DJ as well. Hercules DJControl Jogvision: Biggest jog wheels of all entry level controllers! Pioneer DJ DDJ-WeGO4: A versatile IOS/Android DJ controller, that plays nice with Rekordbox DJ and even Virtual DJ on PC and Mac. The Numark Mixtrack Platinum is a fantastic controller for beginners: high-resolution pitch fader, excellent jog wheels, and LCD screens built right into the jogs. That's a lot of value for a very reasonable price! The Numark Mixtrack Platinum is very similar in layout and functionalities to the Mixtrack Pro 3, with one big difference: it features a central led screen on every jog wheel that shows essential track information. This is the first sub 300 controller to feature this to my knowledge, and it’s a fantastic use of space. Having the BPM readout right in front of you helps enormously when mixing, especially because finding the BPM readout on your laptop screen can be a challenging task. 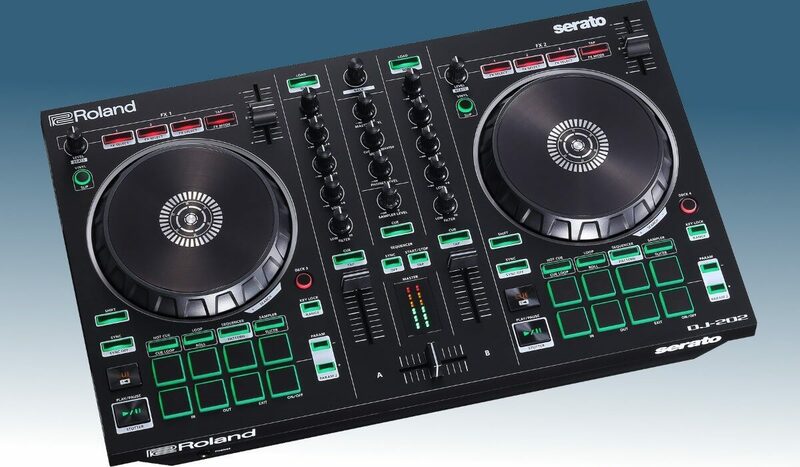 The controller is shipped with Serato DJ Intro but works with Serato DJ if you have the license. So while the Mixtrack Pro 3 is our pick under 250 USD, the Platinum is our overall pick in this feature. It’s pro features (touch strip, high-resolution pitch fader, onboard screen, audio interface) give a (serious) starting Dj all the goodies needed to be off to a good start. The DDJ-400 the new entry-level controller from Pioneer DJ for Rekordbox DJ. It's compact and well featured and has a pro looking mixer with effects. A larger pitch fader than on the RB. The big change with the DDJ-400 is that the effect section is removed from above the decks and is now integrated into the mixer. 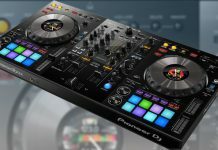 This creates a more “two decks and a mixer” feel and aligns the Pioneer DJ controller line with their line of professional equipment. If one day you move up to the clubs and have the chance to DJ on CDJ’s, having played on the DDJ-400 will certainly help make things more familiar. The pitch fader is also slightly larger than on the DDJ-RB, and that’s a very good thing. Regarding inputs and outputs, the DDJ-400 keeps things simple: 1 RCA and 1 headphone output, and 1 mic input. This is more than enough for beginners, and since it has a built-in soundcard, hooking it up to your laptop and speakers is dead simple. The DDJ-RB is very compact, well featured and has great value and it comes with a Rekordbox DJ license included! The DDJ-RB comes with a full license for Rekordbox DJ. And since Rekordbox DJ is part of the free Rekordbox music management software, any tracks that are analyzed there are ready to be used with high-end professional gear such as the Pioneer DJ CDJ-2000nxs2. So, for starting DJs that want an upgrade path to more professional gear, the DDJ-RB is a very good choice. 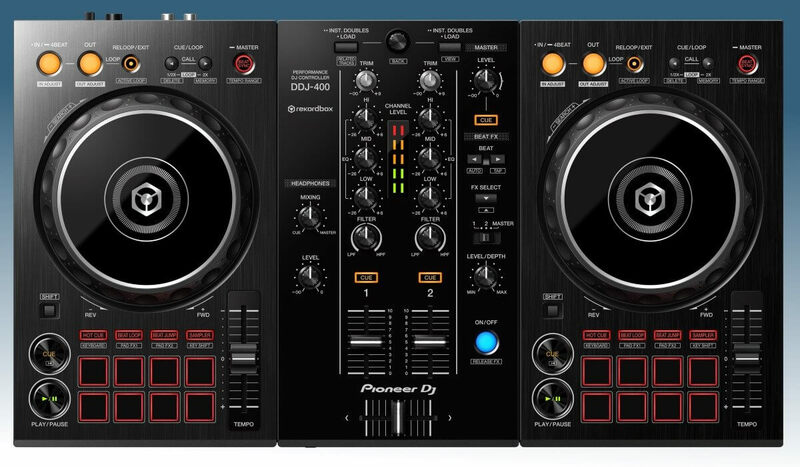 The DDJ-RB has a cleaner layout compared to the SB2 (discussed below), more in line with Pioneer DJ’s professional line of gear. 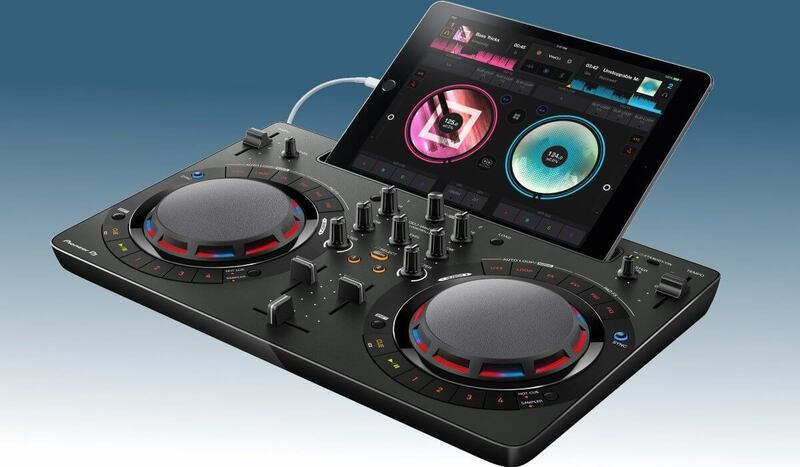 The eight pads per deck are all reserved for performance features, the play-pause/cue buttons are similar to those on high-end Pioneer DJ gear. On the SB2, the bottom row of the pads is reserved for transport control. Both have very small pitch faders, and that won’t help to learn how to beat match properly, but that shouldn’t be a major drawback for beginners. Compact and very complete, the DJ-202 even features a sequencer and drum machine! Sequencer and drum machine functions a bit hard to operate. The Roland DJ-202 is the newest addition to Roland’s line of DJ controllers. It delivers a serious amount of features for its price, even including a sequencer and a drum machine. 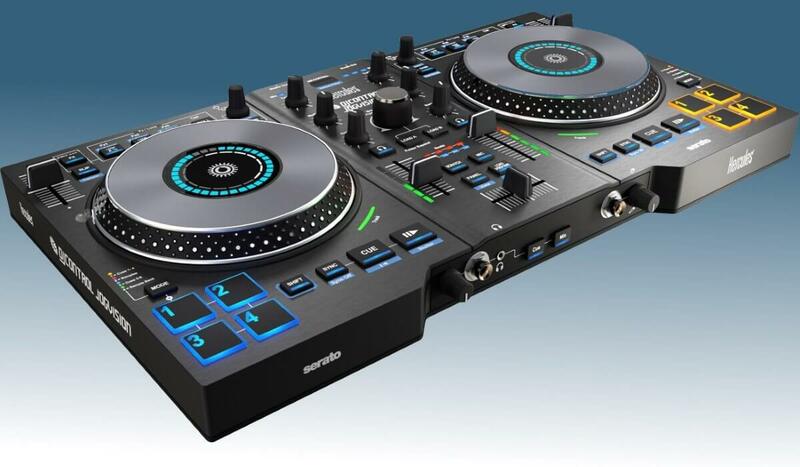 Overall, the DJ-202 is well built and the design is very similar to its direct competitor, the DDJ-SB2. It has very high-quality jog wheels, that not only feel good in use but also have very low latency. The performance pads are not the rubber, responsive type but they are good enough considering the price. The sequencer and drum machine are a great addition, but using them can be a bit confusing since the pads and buttons that activate it are not clearly marked to do so. The DDJ-SB3 has all a beginner DJ needs to get a head start. Good jogs, 8 performance pads per deck, a nice mixer and cool performance features such as the Pad Scratch and more! 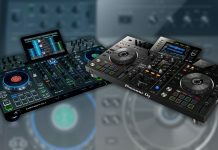 The Pioneer DJ DDJ-SB3 is the successor of the DDJ-SB2, and while both are very similar, the SB3 features separated cue/play-pause buttons and 8 performance pads per deck. There is also the controversial Pad Scratch feature, that allows you to “scratch” with pre-recorded patterns created by DJ Jazzy Jeff. The DDJ-SB3 is delivered with Serato DJ Lite, and while that is a good starting software package, it has not all the bells & whistles of the professional version Serato DJ Pro. If you want to upgrade to Serato DJ Pro, it will cost you USD 99 for the full license. The SB3 can trigger 3 effects at the same time, it also has a deck switch button allowing it to use the 4 decks available in Serato DJ Pro. The mixer is very good, and with a full 3 band EQ, a filter knob and gain knobs per channel it really has all the needed controls for proper mixing. The faders and crossfader are decent quality, especially considering the price of the DDJ-SB3. 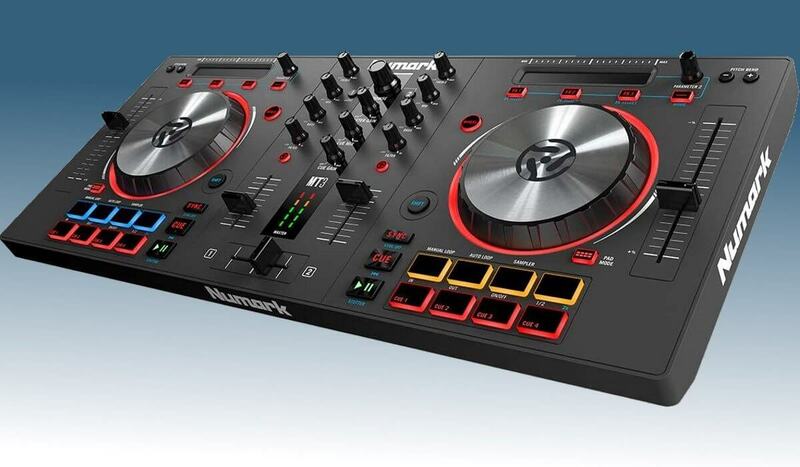 If the Numark Mixtrack Platinum is above your budget, the Mixtrack Pro 3 is an interesting alternative. It obviously doesn’t have built-in screens, but apart from that, it has the same features. So you get the 8 performance pads per deck, the excellent jog wheels, and the great full-resolution pitch faders. The Mixtrack Pro also comes with a built-in soundcard so you can connect the unit directly to powered speakers or a PA. Software-wise, it works with Serato DJ Lite out of the box, but you can easily upgrade to Serato DJ Pro if you would like to. Basic mixing features for a sharp price, disco lights included! 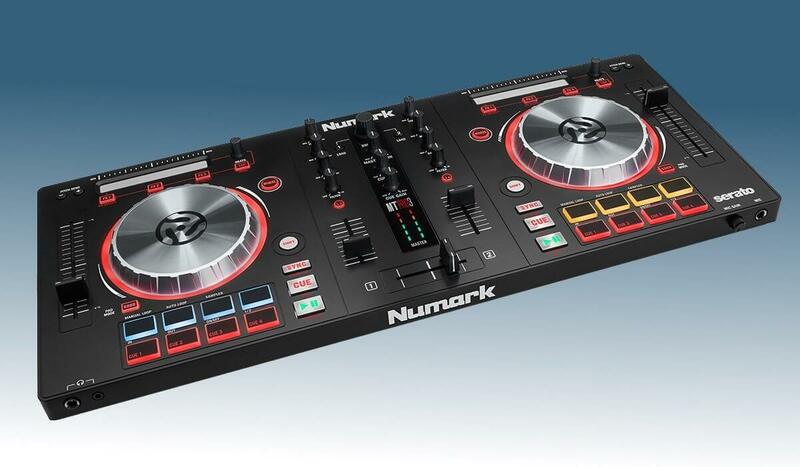 The Numark Party Mix is extremely affordable, setting you back no more than USD 99. It contains all the basic features that you need in order to mix two songs together, and even some fancy additions such as back-lit buttons to trigger samples, cue points, and loops. Additionally, this unit has built-in lights that pulse, in selectable patterns, to the beat of the playing track. The Party Mix even has an audio interface, which is remarkable at this price point, so it doesn’t depend on your PC to generate the audio output. The controller comes with Virtual DJ Le which is an established DJ software package that will help starting DJs get familiar with the basics of Digital Djing. Good price and nice features, especially the inclusion of 4 performance pads per deck! The Hercules DJcontrol Instinct P8 is a nice little piece of equipment perfect for starting DJs. It does look a bit like a toy, but make no mistake, it does its job well. There are 4 performance pads per channel that allow you to cue loops, trigger samples, loops, and FX. The controller is delivered with Hercules’ owns Djuced 40 software, which is easy to set up and use. The jog wheels are not very effective and are of lesser quality than those on the Numark Party Mix. They look cool and consumers will expect them on entry-level controllers, but they are pretty much useless for any serious nudging and/or scratching. On the other hand, the build, even though it’s fully made out of plastic, feels sturdy enough. If you are a parent looking for a great DJ Christmas gift for your kid, this is a very good option! Basic features for a sharp price. No audio interface included so that needs to be handled by your laptop. 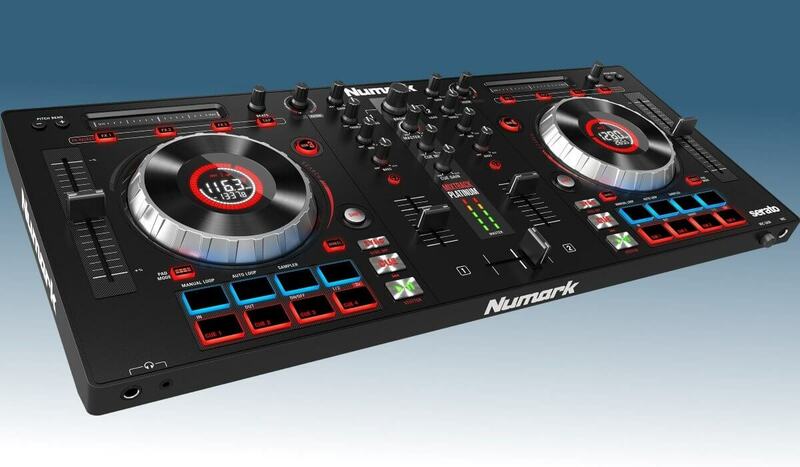 The Numark Mixtrack 3 is the little brother of the Mixtrack Pro 3 controller. It has a very clean layout, and feature wise it has many things you would rather expect on more high-end controllers. But there is one very important omission here: this controller doesn’t have a built-in audio interface, which means you need to output your laptop/PC sound to your speakers and use a split cable to cue your tracks in your headphones. That is acceptable considering the price (USD 149), but unless you really, REALLY don’t have more than that to spend, I recommend to go for a controller with a built-in audio interface. Nevertheless, this is a very good offering at the price for those that don’t mind the lack of an audio interface. The construction is very solid and if you want giant jog wheels, the Jogvision has them. The Hercules DJControl Jogvision stands out for one important thing: The enormous, CDJ like jog wheels. This controller will sure make an impression and probably up the Dj’s “street cred”, but the jog wheels have also some functional aspects: a LED ring indicates the progress of the track and another led indicates needle position. All very handy when playing and it helps to keep your eyes away from your laptop screen. The layout of this controller is quite special, and some DJs might be put off by a few choices made. The whole looping and FX area above each jog is a bit complicated but when you get the hang of it, it works fine. Lastly, this controller features what Hercules calls Air FX, which allows you to control the amount of filter applied with hand movements. Pretty cool when playing out and for sure something that can be used as a performance element in a set. A lot of flexibility and choice in a compact, well build controller. The Pioneer DJ DDJ-Wego4 has an unconventional look, with all its transport controls such as cue, play, FX and looping wrapped around both led illuminated jog wheels. The controller works with a wide range of software and devices, as it has a slot to fit an IOS or Android device. It supports Algoriddim djay software for IOS or Android, or you can use Pioneer DJ’s new WeDJ IOS application. Apart from that it also supports Rekordbox DJ on Mac or PC, and it comes with a free license key in the box. You will have to deal with the small pitch fader (a common flaw on Pioneer DJ entry level gear), but considering the target audience that should not be a big issue.